It’s been difficult, lately, to spend more than about 20 minutes surfing the internet without coming across at least one article on Millennials in the workplace. It’s been difficult, lately, to spend more than about 20 minutes surfing the internet without coming across at least one article on Millennials in the workplace. These pieces all sing a similar song: Millennials are over-coddled, under-dressed, and behave as though they’d gone to cotillion in the jungle. They often have titles like, “How Do You Solve a Problem Like Millennials,” and begin with anecdotes of terrible workplace behavior as exhibited by a 20-something. 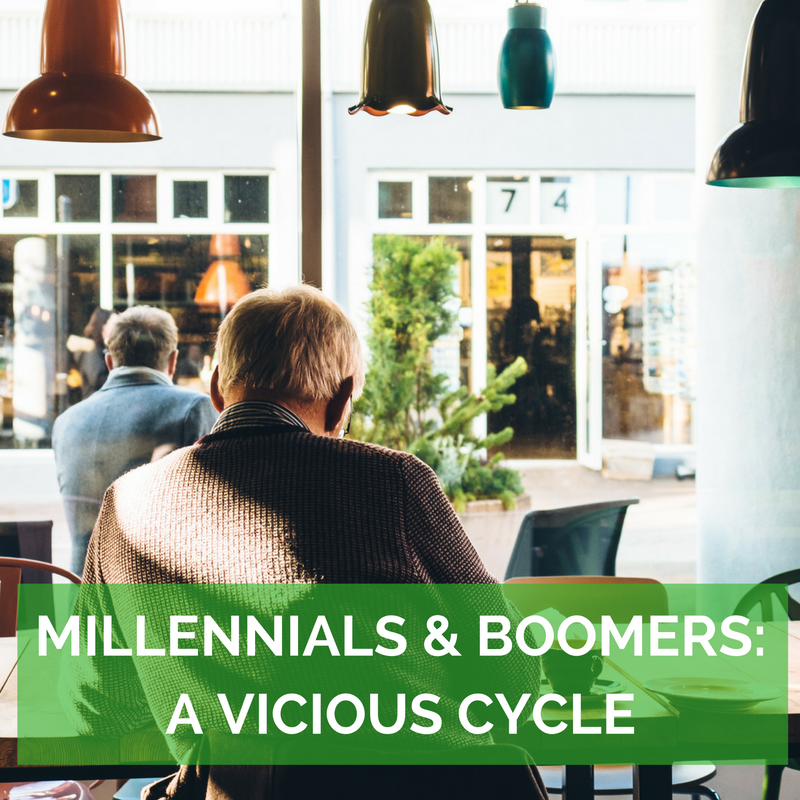 The more resentful the Boomers get, the more defensive the Millennials become. Which, in turn, makes the Boomers more resentful and the Millennials more defensive. Which… see where I’m going? It’s a vicious cycle that makes everybody look bad. So I’d like to offer a proposition: let’s stop cyber-bullying each other and laying gross generalizations on each other (after all, not all Baby Boomers preach “Greed is Good,” either, right? ), and instead learn to identify and work with the unique personalities in our workplaces. That sounds like a lot to ask, but Bibliomotion’s upcoming book by Lee Caraher, Millennials and Management: The Essential Guide to Making it Work at Work, is the perfect place to start. The key, according to Caraher, is to strive for mutual understanding and to shift the attitude from disbelief to acceptance without giving up our work standards. She delves into the effects the US economy has had on the workforce over the past 20-or-so years, showing readers just why the older generation is working longer than expected, and why the younger hires tend to come in itching to shake things up. Then she gets down to business, providing leaders with data-driven steps to take to bridge the generational gap, creating a positive, productive workplace. Still skeptical? This isn’t the first time two age groups have clashed. In fact, as Caraher reminds us in her introduction, the kids have been getting on the older generation’s nerves (and visa-versa) since at least Plato’s time, 2500 years ago. In more recent history, the flappers of the ’20s traumatized their parents and grandparents with their crazy clothes and funny dance moves, and the hippies of the 60s (the Boomers, themselves) traumatized their parents and grandparents with, well, crazy clothes and funny dance moves. We’ve been through it before and come out alive. We can get through it again.